What better to do on Australia Day than cook up a seafood feast on the barbie in Martin Place, for Channel 7 ‘Sunrise’ program. And what better helpers than some true blue Aussie lifesavers from North Bondi, even if we did have to remind them not to stand so close to the BBQ while they were cooking in their possibly flammable shorts! For lots of seafood recipes, the new YouTube preparation of seafood videos and species information have a look at FISHline at http://www.sydneyfishmarket.com.au. Owen did a great job making a fish parcel, to help keep the fish moist…..
All done, so we could enjoy some time out – I have such a great job! 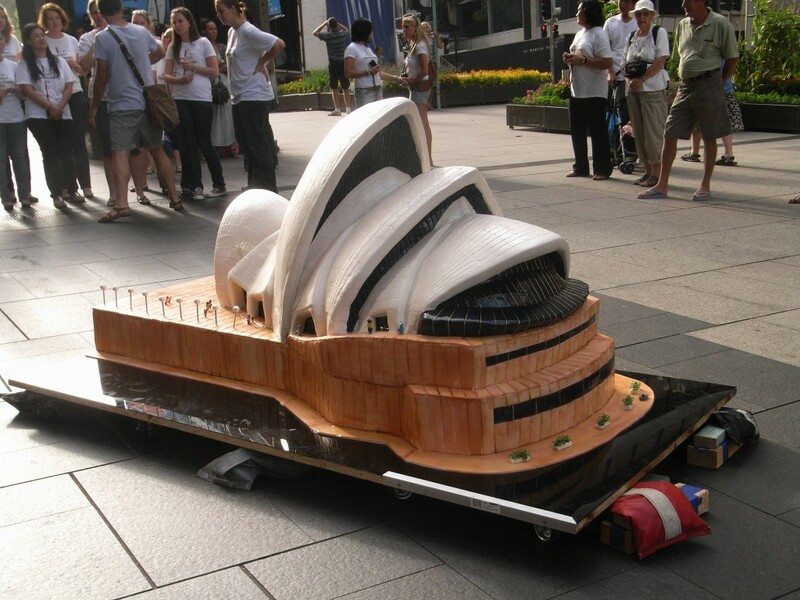 And for dessert, Planet Cakes of Balmain had made a replica of the Sydney Opera House – all in chocolate cake. 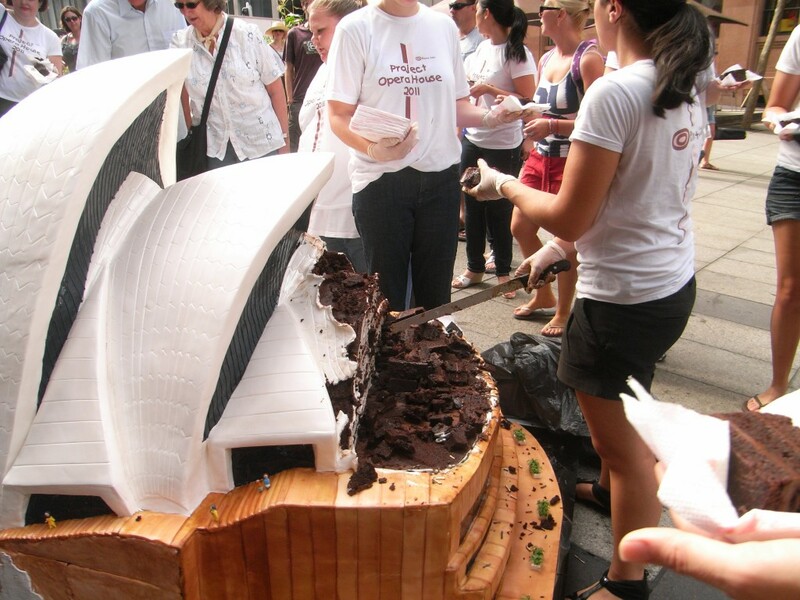 It seemed a terrible shame to cut such a creation, but we couldn’t let all that cake go to waste!